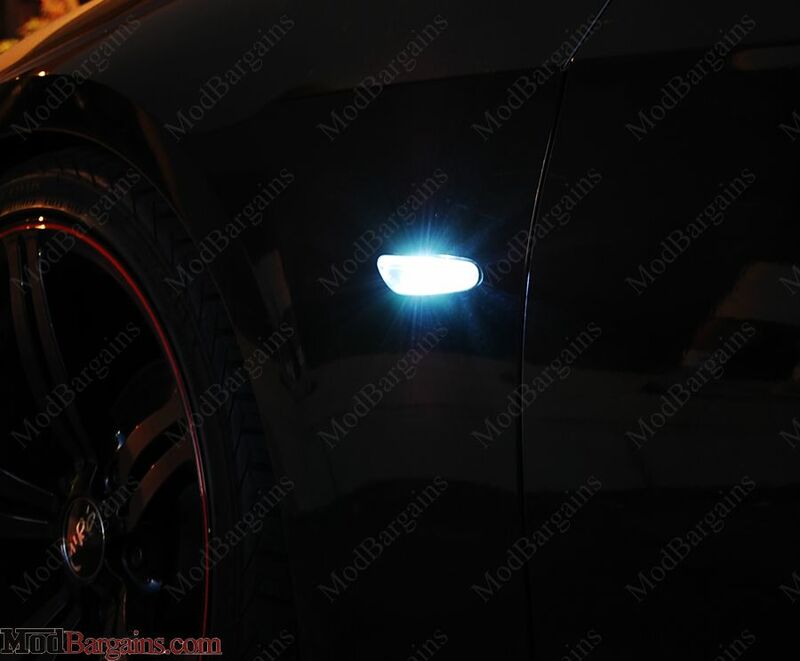 Upgrade your E92/E93's lighting with minimal effort with the GP Thunder Light Upgrade Package! Looking to upgrade your E92/E93's look without spending hundreds to do so? 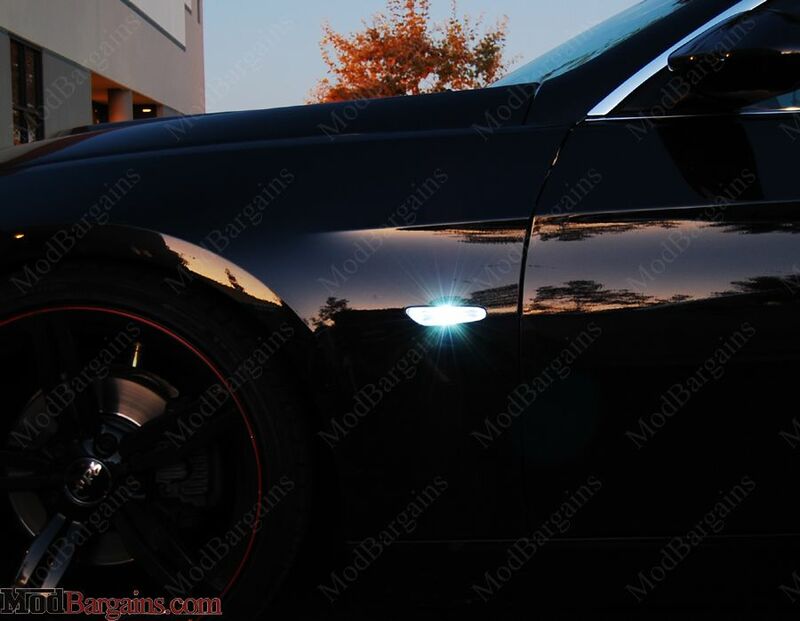 ModBargains is proud to introduce the E92 Light Upgrade Package complete with, GP Thunder Angel Eye bulbs, GP Thunder Cornering Lights, and GP Thunder Fog Lights. Replacing your 3-Series' stock light bulbs with GP Thunder Bulbs will increase lighting output, and give your car a more aggressive nighttime look. Installation for the light bulbs is a breeze, and does not require any modifications. Transform your E92/E93's look with minimal effort with the E92/E93 Light Upgrade Package. Average Customer Review: 4 Based on 3 Reviews. The color is definitely nice compared to the boring yellow output of the stock lights. These lights will definitely give you that nice "look." Unfortunately, these lights are not as bright as I expected them to be. The stock cornering lights and fogs illuminate so much more area than the GP thunder. I didn't even bother to install the angel eye bulbs to match since I already have a different aftermarket set which I'm sure would be way brighter than these. In conclusion, if you want that "look" this is a great aesthetic. If you want the added bonus of SAFETY: look elsewhere. P.S. The SIDEMARKERS were definitely the best part of this package. Beautiful bring LED's. A+++ on that! These are a nice upgrade from the factory yellowish bulbs. This is a good solution for someone that wants better lighting on a budget. Obviously you aren't going to get the same results you would get with the more expensive LED kits, but these look pretty decent. The LED sidemarkers are super cool, and probably my favorite part of the package! Give your BMW a fresh new look by getting rid of your OEM yellow angel eyes and replace them with 6 Watt LED Angel Eyes by City Vision Lighting for an updated, more aggressive appearance. 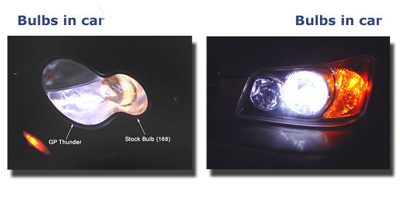 The 6 Watt LED Angel Eyes simply replace your OEM, dull halogen angel eye bulb with a super bright LED bulb. The City Vision LED Angel Eyes feature a 6 watt 6000K pure white LED bulb for a brilliant white light that looks classy on any model BMW. They are a breeze to install, and require no special tools, and does not require removal of your headlight. This kit is perfect for anyone looking to give their vehicle an update look with minimal hassle. 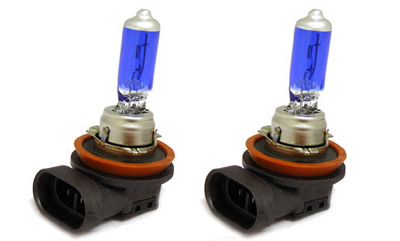 Each order includes 1 pair of bulbs which powers all 4 of your vehicle's angel eyes. **Your vehicle MUST have OEM Xenon lights (HID) for the LED Angel eye kit to work. We also offer a 1 year or lifetime warranty available with the LED Angel Eye Bulbs. This warranty is all inclusive, and includes replacement of any part which has gone bad in the kit (bulb or ballast). Installation of the City Vision Lighting LED Angel Eyes Bulbs is a snap. Simply remove your existing halogen angel eye bulb and replace it with the LED bulb. All of the connections are simply plug and play and installation does not require any special tools. See the Installation Guide Tab for detailed installation instructions. Replace your BMW's stock HID bulbs with GP Thunder HID bulbs to greatly increase overall appearance of your BMW. There are three available brightness levels; 6000K, 8000K, 10000K, and 12000K, any of which will make your BMW look more custom than with stock HID bulbs. 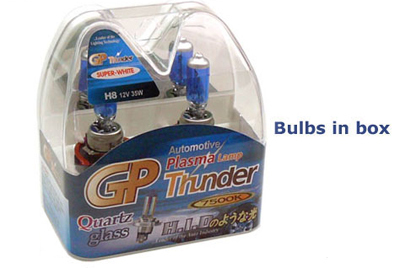 Upgrade your car's appearance with a set of GP Thunder HID Bulbs. 6000K - The 6000K brightness will be a brighter white color, with a purple colored tint. The brighter color emitted by the 6000k bulb will illuminate far better than a vehicle equipped with standard halogen bulbs in nighttime conditions. 8000K - This brightness will be a diamond white color, and will most resemble natural daylight. 10000K - This temperature rating will most resemble a crystal blue color. The white with blue tint color emitted by this bulb will appear very classy in nighttime conditions, and is easily visible during the daytime. 12000K - An HID bulb that operates at 12000k will appear to be a violet blue color, making for a unique appearance on any vehicle. 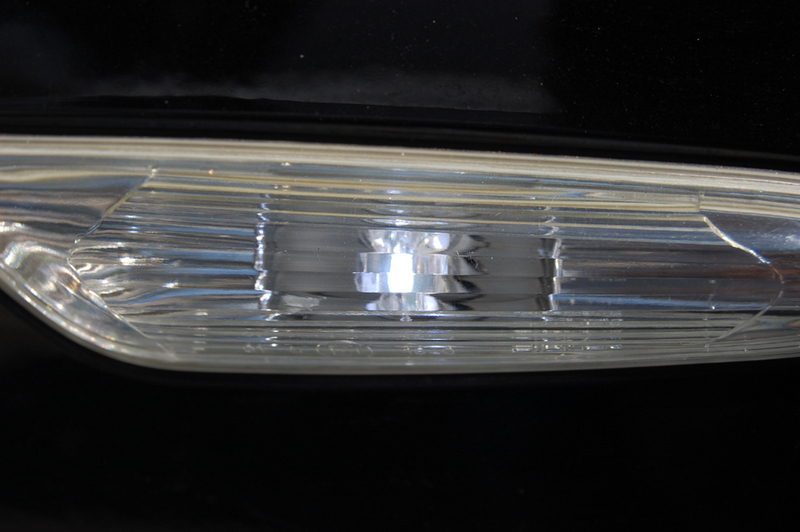 A 12000K bulb easily stands out from other vehicles during night and daytime. Please note that a 12000k HID bulb is not recommended for street use.